It’s October and we want to be scared! We want to read the scariest story you’ve ever written. 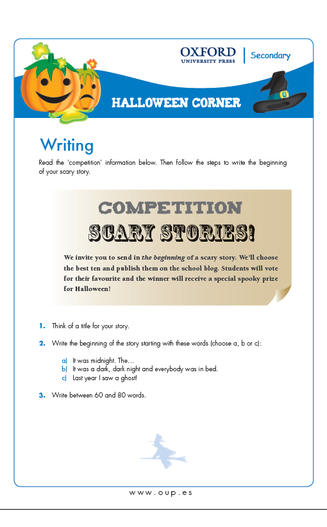 Here's your chance to write a spooky Halloween story! Remember! Your story must be ORIGINAL. The deadline for submissions is on Wednesday, October 28th.